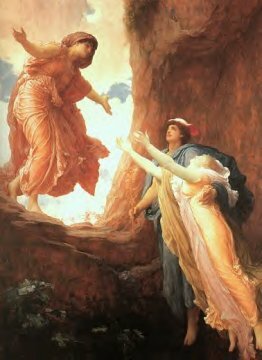 The primary function of the magus in history, whether the exemplar is Hermes, Jesus Christ, Faust or Paracelsus, is to open a path between Heaven and Earth, and then lead worthy human souls along it, back to our origins in God. ...This function in theological terms is that of psychopomp, guide and initiator of souls through the great passages of life. So often the early history of an eventual mage is studded with the kinds of ordeals, transformations, and illuminations we saw in our examination of apotheosis narratives, including the Trumps of Tarot. This would certainly be true of the outstanding individuals who draw our attention in the early Renaissance. Looking at the historical personalities involved, we also see no lack of the kind of mystical grandiosity known to raise both Catholic and (later) Protestant hackles -- as in the cases of Pico, Trithemius, Paracelsus, and Bruno. All these people showed considerable brio, which is the only way they could have left wakes large enough for us to hear about them so many centuries later. It further seems to have been characteristic of aspirants to Natural Magic to equip themselves with some levels of ecclesiastical empowerment, at least to the degree that they would be familiar with the Mass and its execution. Then, once the empowerments available through educational and ecclesiastical channels were gained, the oft-assumed role among the Renaissance magi was that of spiritual doctor. Ficino, Agrippa, and especially Paracelsus remain champions in this department, but this idea of the magus/healer seems to have been an especially popular model for those who felt the call to work with the spirit world. What was the reason why practitioners of magic were imitating Catholic clergy in their rituals? Was this done simply in order to placate the Church officials during a period when fear of witchcraft was rising in a plague-threatened and syphilis-ridden era? Why did the magi feel they needed the skills and the protections that operating within the context of a Mass gave them? Remember, this was a time when the main remedies for most illnesses involved prayer, bloodletting and mercury treatments. Quite often the priests accused the most successful healers of witchcraft and trafficking with demons. Therefore it is fairly astounding that even a few highly-educated and well-placed individuals would risk their reputations and their freedoms to offer aid to sufferers and hope to those doomed by the inadequacies of the medicine of the times. When we study the teachings and self-justifications that the stand-out magi of the Renaissance left behind, we are not only getting a glimpse of the personal inspiration of a few oddball, half-mad geniuses. We are actually looking in on a powerful conversation going on between people who find themselves in the grip of clashing social roles, political factions, and worldviews. How does Magic work to heal? The challenge for the magical theorist has always been to explain how healing effects could be stimulated in a patient without violating the Church's concept of the causes of disease (sin and evil spirits), and without having recourse to demons. In a climate of increasing spiritual controversies and paranoia, suspicion of demonic interference haunted the shadows of every mind. Therefore the apologist of Natural Magic needed a good education in the classics as well as Scripture in order to make an explanation that would satisfy the fears of the times, and even then approbation was never held far at bay. Of the possible explanations available, the traditional Doctrine of Correspondences [Swedenborg, 1688-1772, compiled and published the specific Biblical correlaries] was regularly invoked to explain how things of similar nature would link up with and share qualities with their heavenly counterparts, as when the metal gold, amber stones, sunflowers, the color yellow, and the lion were seen as carriers of the Solar force. This doctrine extended to images, numbers, letters, sigils, and other kinds of visual formulae as well, all participating in the ascending/descending chain of relationships that reaches from pond scum to the stars. To illustrate how these forces could be invisible yet effective in practical terms, the musically-minded Magi like Ficino, Gafouri and Agrippa would cite the Pythagorean observation about the harp -- that when two harps are tuned to each other, striking the A string on one instrument will excite the A string of the other, even if the untouched harp sits across the room. This is called "sympathetic resonance" and it gives us a primary representation of the operative laws governing all forms of sympathetic or natural magic. The experience is not always "sympathetic", unfortunately. The upshot of this magical theory sets the human reality in a world of vibrations and invisible forces constantly stirred by the movements of the Planets against the backdrop of the fixed stars and through the signs of the Zodiac. The four elements of terrestrial reality are constantly mixed up by this ongoing agitation and are therefore never still, never peaceful. Analogously to the way the planets and constellations move across the night sky, and across the yearly calendar, Nature's response to the heavenly motions was thought to cause the individual body of each human to undergo corresponding changes of weather, mood, vitality and function. It is no wonder that the occasional intervention of the empowered will of a skilled magus would be desired! The trained natural magician could undertake to mitigate the random side effects of being constantly roiled in this permanent flux, wherein everything is in reaction to everything else. Another concept for targeting and activating the exact forces needed to effect a magical healing was drawn from the Greek philosophical canon. Platonic theory holds that representative imagery, indeed the manifestation of all material forms, is upheld "from within" by their invisible prototypes in the Divine Mind. If the purifications and ritual supplications were done correctly, it was believed that the original prototype of the pictured or formed item could be accessed, aroused, and caused to emanate energies that would have consequences on the indicated expression of that archetypal object in time and space. "... it is clear that [Agrippa] has added a third kind of language -- the 'occult' voice and words of the intellectual and divine world. This language transcends speech and writing, and the fallen nature of languages in general, and simply communicates transparently... This divine super-language requires purity and perfection in the mind; in fact it is the ability to use this language which constitutes the proper object of ritual purification. In this language, the magician simply expresses his will, and God expresses His: once the magus has reached this highest plane, he communicates directly with God. He speaks prophecy by participating in divine omniscience. Similarly, he performs miracles by participating in divine omnipotence. ... the magus, by acting as a perfect translator of the divine will -- which is equivalent to the divine language -- is transformed into a perfect instrument of that will." This technique could be fulfilled in either of two ways: Either the magus would expand his sense of self until it was comprehensive enough to take in the entire Creation, at which point he is operating "as if" God upon the world "below" (this is called Climbing the Ladder of Lights). Or else the magus must look within his/her own self and awaken the microcosmic fragment of God that is buried at the center of every human soul. Either approach will work, though the discussions of the "wet and dry ways" discussed in Alchemy and regarding the 6th Trump of the Tarot (The Lovers) make it clear that the experience of following one versus the other is quite different. The medium, substance and primary transmitter of all these effects between God and mage was termed the Light of Nature, the astral or stellar light also known as the quinta essentia or "transcendental substance" upholding consciousness in every creature. Agrippa spoke of a luminositas sensus naturae, and Paracelsus expanded upon that by calling it "the innate spirit of the invisible body which teaches Magiam and in which the Magi has his origin." It is this force, the invisible body of every created thing, that comprises when totaled across the entire Creation, the Sophia of Nature, mirror of God's first creative impulse cast into form and flesh. Variably personified via images of the Virgin of the World, the kabalistic Shekhina, Anima Mundi and other titles that imply and explicate the Divine Feminine, this great moving force was seen as the "engine of Nature", the source of all change, growth, birth, transformation and digestion. As I mentioned in my article, "The Coming of the Queen," the qualities that had in the first centuries of Christianity been given to Christ, became assimilated to his mother Mary, from whence they then slowly spread out over time into a wider concept of the Divine Feminine in Nature. Barbara Newman asserts that Agrippa was a pioneer in the literature of esoteric feminism but the movement towards the Religion of the World (aka Sophia of Nature) had already been gathering steam for a century or more. One should note that Postel, in the passage under consideration, has carefully chosen his words to describe man's journey. Possibilitas Peregrina is an intriguing symbol which calls forth numerous associations. Possibilitas is a post-classical word which means power or possibility of action; peregrina describes travel or a journey; it also commonly means 'foreign'. Hence possibilita peregrina means a 'strange or foreign possibility'. In addition, Postel says that she (Possibilitas Peregrina) is a Domina Gratiosa, a grateful mistress, who holds a unique position under God. She is gratiosa because she contains all nature and especially human nature in the property of her Ideas. Possibilitas Peregrina is the macrocosm while man, a part of the whole, is the microcosm. The challenge to man is in the idea of journey (peregrina) as a possibility (possibilitas). This 'strange possibility' is also the 'power of journey'. Man may participate in this possibilitas peregrina, since his human nature is the microcosm. The idea inherent in the highly suggestive phrase is that man has the possibility, the power to journey, from his human nature, the microcosm, to his larger nature, the macrocosm. This is the journey of return, the restitutio omnium, when man moves back to his perfected nature and shares intimately in the macrocosm"
-Marion L. Kuntz: "Journey as Restitutio in the Thought of Guillaume Postel" in : History of European Ideas Vol. 1 #1, 1981. Unfortunately, despite the overall imputation of goodness inherent in the Domina Gratiosa, earthly experience is well known to include arbitrary and deleterious experiences, necessitating input from sources assumed to have the power to modify, balance, or otherwise adjust the forces holding natural life in balance. In this way the magus fulfills the sorcerer's or shaman's duty to serve as messenger, diplomatic emissary, and negotiator between the human population and "the invisibles", from which all streams of both blessing and affliction were thought to emanate. This is, then, the essential content of the magic of the Renaissance -- linking the planes of Creation so that the distance between humanity and God (between actual and possible, between ill-being and well-being) can be collapsed and the Divine Pattern can regain its dominance over Nature. Such a condition allows the human microcosm, both personally and collectively, to have some peace and some health -- which was a harder and harder proposition as the 1500's unfolded. "...the heresy and the science of Paracelsus emerges, ironically enough, as a hypertrophied medieval religious tradition. In the twelfth century, Hugh of St. Victor had helped to found this tradition when he wrote that, just as humans speak and mean with voices, God means or signifies with things.... The reading of things and creatures in nature as divine 'voices' or 'meanings' was integrated into the fourfold meaning of Scripture: Jerusalem was the geographical city in the historical sense; the Church in the allegorical sense; the soul of the believer in the moral or tropological sense; and the heavenly City of God in the anagogic or mystical sense. Any object in nature referred to by any word in Scripture could be interpreted as a divine signifier." "Now [Christ's] Incarnation is the appearance in Nature of the spoken Word of God. At this point, the tripartite nature of creation is fully empowered -- Christ rules Nature, the world of Speech, as the natural incarnation of Logos; the Holy Spirit rules the Celestial, in the form of the written Word of Scripture [numbers and letters]; and God the Father rules the divine, the world of transparent and perfect super-language [imagination and will]. 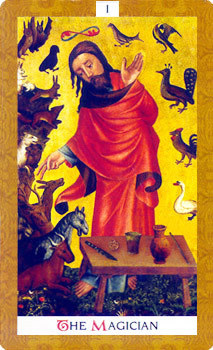 Therefore the Incarnation completes the formation of the ladder up to God -- by following Christ, the magus can rise through the spheres.... Linguistically, we might say that God writes His message upon the magus, and the magus translates that message into the speech of the World." In these various descriptions the magus and God are in a triangulated conversation with the Incarnate Word/Christ, Who rules and "speaks" through Nature, the Domina Gratiosa. Immediately we are pointed back to Agrippa's luminositas sensus naturae and the Paracelsian 'innate spirit of the invisible body'. God's Images, the Archetypes provide the causes, Nature "speaks" the effects, and the magus interprets and moderates the impact as it falls into the lives of individuals. Perhaps now we can begin to understand the motivation of a person undertaking to fulfill the role of magus. The ongoing experience of the magician/healer -- the interior, emotional and psychological reality of the operator -- is that of participating in a numinous, highly energized exchange with the Invisibles, the ever-changing Powers that Be. The fact is, the context for Magic in whatever form (alchemical, astrological, harmonic, imagistic, talismanic) was a religious and spiritual dialogue with Creator, no matter the professed faith of the user. Without a full appreciation of the self-improvement and world-healing motive underlying magic's methods and logic, we will be incapable of forming the requisite understanding of the operations of mind, heart and vision that support the magical Imaginal of the Renaissance. In the literature of the time we read about Hebrew magi and Islamic magi, pagan magi and Christian magi, but common ground they shared is that their Arts depended upon and were dedicated to Spirit, the Divine Will alone. Magic was understood, at least by its primary proponents, as a spiritual path just as valid and holy as any of the other religious callings, despite the risks it brought to the operator. Paracelsus, omnivorous eternal student that he was, straddled multiple cultural fences, claiming at one point "I also confess that I write like a pagan and yet am a Christian". One of his favorite self-created words was "Pagoyum", compounded from paganum (pagan) and the Hebrew word goyim (designation for a non-Jew). He used this term to describe knowledge stemming from the light of nature rather than religious revelation. Paracelsus was so pleased with this hybrid concept that he used it as the title of the first five sections of his Paramirum de quinque entibusmorborum. 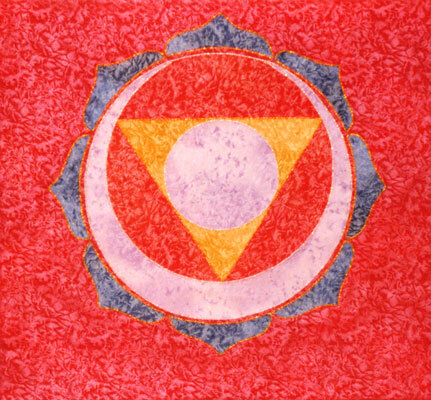 From this we can gather that the focus of a dedicated mage would be to cultivate those universal truths and human potentials that all spiritual paths agree upon, east and west. At this point in Europe's history, the Catholic clergy were indeed feeling the heat of competition for their spirit-mediating function. Where the Priest operated on the assumption that the afflicted person was somehow guilty of a sin and was being justly punished, the magus explained the illness as unbalanced energies within the environment setting the patient askew. The Priest took the categorical stance that all power resided solely and completely in God, whose will is inscrutable, while the magus refused to accept this as the first and final word on the subject. Even as the Priest located the source of health or illness, life or death, within the Divine Will, the magus was willing to insert him/herself into the process and use his own will and mind to adjust the flow of events. In this sense, the magus can be seen as the more spiritually faithful of the two, in that such a practitioner was more fully following Christ's commandment to "go forth and do likewise; do thou as I have done". The more Christ-like lay clergy of the Religion of the World would take personal responsibility for the pain and suffering of their students, patients and neighbors. We see Priest living in relative comfort and security, safe in the arms of Mother Church and protected by the vestments, the traditions, and the strong enforcement machinery of the Vatican. The magus, in contrast, was often under threat from both medical professionals and ecclesiastics, since he offered competition to both. In many cases the magus was forced to move around to keep ahead of detractors, meaning that poverty and misunderstanding intruded upon his work. As is so often true in the lives of humans, politics and personalities would take the upper hand, leaving spiritual principles and mystical inspiration to go begging along the byways. If there were compensations enjoyed by the Renaissance magi in the face of all their troubles and obstacles, these would come via the sublime experience of both expressing and containing a transaction between creature and Creator. By undertaking the necessary labors required to have a conscious conversation with the Holy Word as manifested through matter, the magus becomes both the actor and the witness to the ritual's transformative power. In actual fact, the magus is so intimately involved with the processes set into motion to accomplish the healing, that one can truthfully say that he or she is the vessel in which the healing is consummated, and is also healed in the process. As microcosm to Nature's mesocosm and God's macrocosm, the magus becomes simultaneously the agent of the transformation, the site of the transformation, and the result of the transformation. Remembering the remarks above about how events in the manifested creation were seen as divine speech or inscription upon the world of flesh, let's expand on the implications this idea makes available. In the act of setting up and fulfilling a ritual, whether it's aimed at producing a healing, a change of consciousness, or an educational experience, the magus has to fully immerse himself in the world of the spirits. He has collected items that resonate with the intended spirit and decorated his chapel with them. He has undergone whatever purifications and austerities are conducive to communication with the target entity. The operator has collected all the special names of that spirit and its principal ministers, and has researched out each one's proper direction, element, glyph, numbers, degrees, and whatever other relevant details will allow him to successfully call forth those and only those spirits. 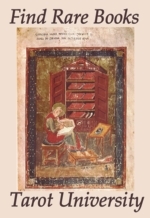 He has prepared the materials for a remedy, including preparing an astrological analysis of the connection between the individual and the World Soul, and with that information he has generated a talisman, or composed a piece of music, or cooked up a medicine. He has observed proper astrological timing in all particulars so the patient's best energies can be harnessed for the healing. Saturated as he is in the world of the Spirits, the magus appears to be, even more than the Priest, engaging in a full and active conversation with the Divine Life of God and Sophia, the cosmos and the creation. God and Nature were seen as eternally "speaking" through the natural events impinging on human life. But the magus goes that step further, feeling the call to "speak back" to God, communicate reciprocally with Sophia, and in every way possible strive to balance, harmonize, modify and temper the flow of influence back and forth across the planes. 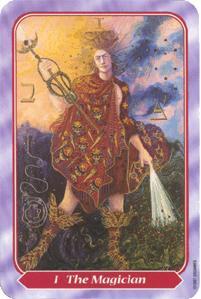 Using every means available, from artfully combined products of nature through mathematical and mantic tools to the unleashed power of the projected imaginal, the magus asserts the Ladder of Lights and then climbs to the level where an empowered conversation can be had and some input from Spirit can be gained. By arranging the microcosmic world (including the interior sphere of the mind and the ritual sphere of the ceremony) into a very particular, highly symbolic and focused order, the operator impresses his will, his interior images, and his intent upon the macrocosm as if he were God's will at work. This is exactly what the accomplished magus believed he was doing. "...ritual as hieroglyph. For those who can read the secret, magical language of demonic ritual -- magicians and demons -- the hieroglyphic ritual has a single, complex meaning. Further, the transparent and motivated nature of the magical hieroglyph is such that the reader is bound by the force of the reference; in other words a demon [or spirit, or angel] who reads the ritual cannot help but express it’s meaning by performing the desired actions. Several aspects of DOP's [Agrppa's Die occulta philosphia] confirm this reading. First, the emphasis placed on demonic names; in the hieroglyphic ritual, the demon is thus written into the text, ensuring that it is bound to the magician's desired ends. This binding has a double function; the demon is part of the text, and as such is compelled by its meaning; in addition, the demon is addressed by the text, and thus compelled to read it.... Because the magus is [simultaneously] part of the text being read by the demons, the magical effects performed must inevitably affect the magus.... Indeed, if the 'intellectual activity' here is the construction of the ritual/text, and the 'active imagination' is the enactment of its effects/meaning, then the magician is simultaneously performer and audience, actor and acted-upon, and as such may be said to be utterly transformed by and for the gnosis." This article and next month's focus a spotlight particularly on Paracelsus. This stance is sustained by more than just the convenience of using him as a type of the species Magus. In truth, it was Paracelsus, even more than Agrippa, Trithemius, Ficino, Pico, Lazzarelli, Giorgi or any others in the stream leading up to him, who articulated for future practitioners the most practical and literal aspects of their shared, vital but invisible Arts. Some modern scholars reference Paracelsus as the lens through which all the raw materials inspiring the so-called "Rosicrucian Enlightenment" were focused. 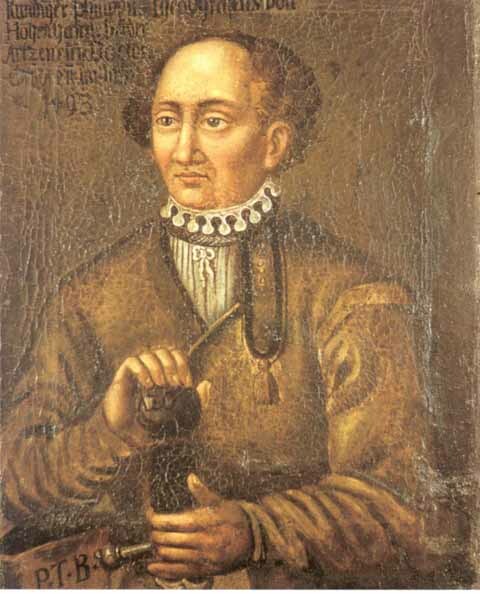 Paracelsus is also the central theorist powering the passionate upwelling of alchemical manuscripts and imagery that expressed the scientific esotericism of the century after his death. He is also the father of modern homeopathy, a very important healing modality and a still-vital boon to humanity. Hence his life of writing, teaching, and healing gives us a central window into the worldview of the prototypical magus of the early 1500's. "Paracelsus overtly alludes to the controversies over the claims of faith against works, and over the invisible presence of a divine power or substance in the sacraments and throughout the created world. We have seen that the focal point of his theory is the notion of the image: the three primary things [salt, sulphur, mercury], plus the elements and sophia, are an image of the extended trinity; the pillars of medical knowledge are a kind of afterimage of the quaternary deity [Paracelsus' proposed Father, Mother/goddess/Sophia, Son, Spirit -- for which he was branded heretical].... 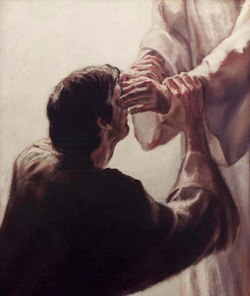 The authority of the physician-theorist in recognizing the invisible from the visible mirrors the authority imparted by Christ as the God made visible. Just as God is invisibly present for the believer, notably within the sacraments, so also the arcane forces and virtues are invisibly present in nature for the physician. 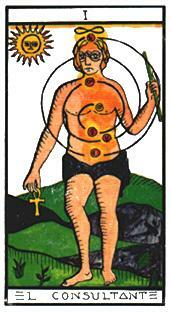 Moreover, the virtues are increasingly acknowledged by Paracelsus to be manifestations of the invisible God. Just as faith and the sacraments exercise a transforming power for Luther, they do so as well for Paracelsus, who takes the further step of discussing the natural power of the imagination as akin to the transforming power of faith. What distinguishes the two so decisively is of course Paracelsus' extension of the trope of the divine image from the first human creature [Adam] to all of creation, with the corollary elevation of the imagination as a kind of creation by picturing." "When one begins to recollect and analyze the existential feeling of a debilitating disease, the notion of being possessed by a body of disease, an invisible microcosm, makes good sense. The notion that medicine is a feminine entity with which the virulent male disease is united to be calmed, and in order to engender a reborn being of health -- this is as strikingly poetic a depiction as that of Zwingli's Prayer Song in Time of Plague. Like the Lutheran theology of the cross, Paracelsian theory could address the whole man or woman, diagnosing illness in visionary terms and aiming to heal the inner as well as the outer being. In it's suggestive appeal both to the spiritual and the physical creature, his theory anticipated the Pietistic dramatization of the travails of the soul." Here is where we will leave the subject this month, but not without a little hint; This might be a profitable moment for the reader to review the ways this natural magic, based on sympathies and correspondences, connects and overlaps with the paradigm of Eros Magic introduced a few ArkLetters ago. Among the Renaissance magi, the concept of the magician as officiant at the alchemical wedding, or even a participant therein, was a traditional and compelling model. Take note of all the attention lavished upon the 'light of nature', which is specifically granted a feminine identity paralleling the femininity of medicine itself and quenching the destructive fires of the masculine disease entity. Remember as well the Renaissance response to the revival of ancient gnostic Sophia-concept that was spreading with the expansion of Renaissance esoteric feminism. It is at the intersection-point of these ideas that the visionary illumination of the Renaissance Image magician finds its inspiration and its justification. 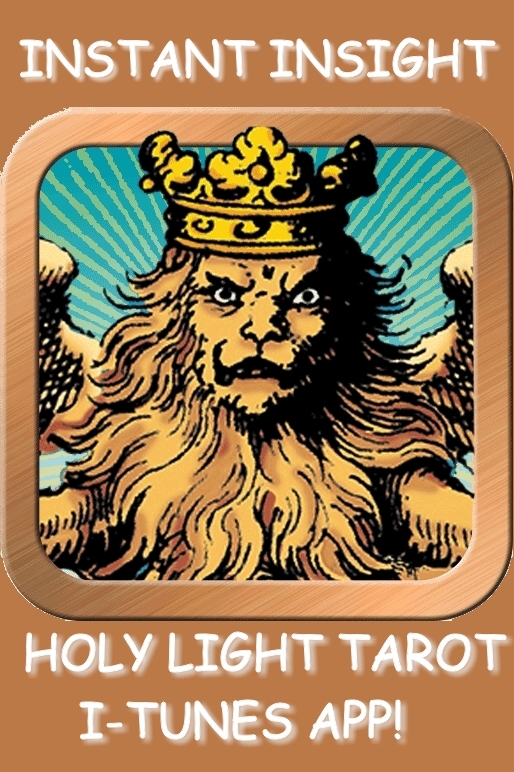 This is also ground zero for the esoteric theory being expressed in the trumps of the Tarot. Since the copyright information for images is radically inconsistent across the web, we attribute images by placing the original link here as a free service to the originating site. Anyone objecting to the use of their image will have it removed immediately. --Ed.